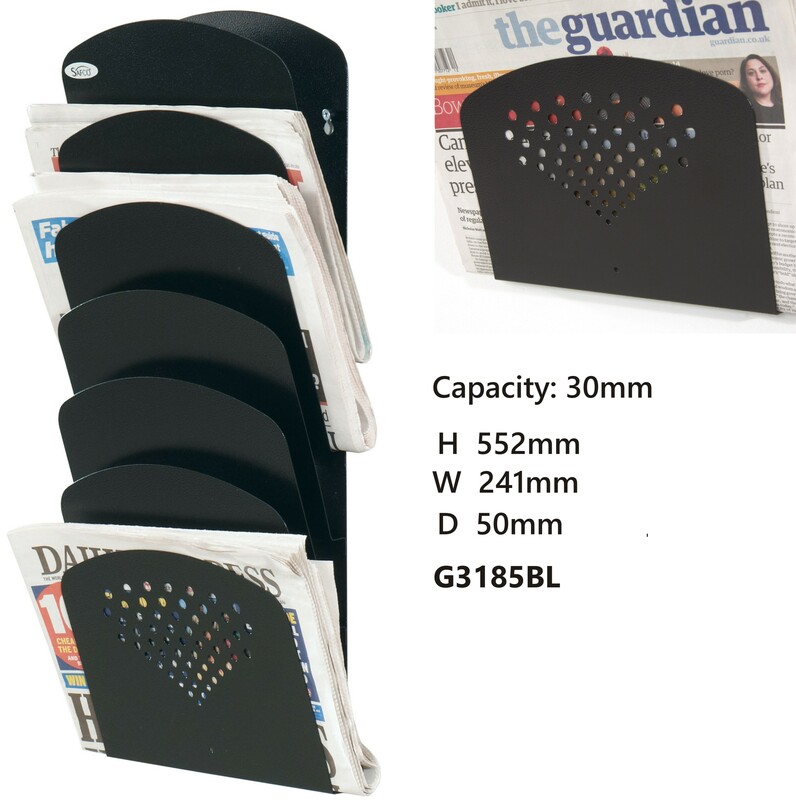 Ideal for holding oversize literature such as newspapers, folders and journels. 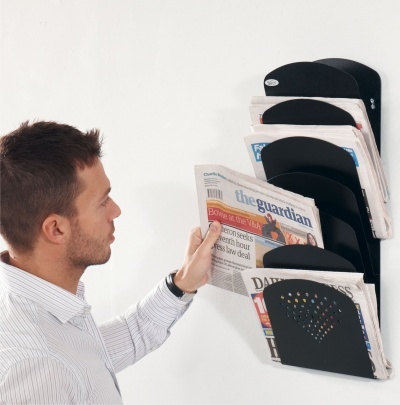 With its black contemporary finish this wall mounted literature rack has 7 pockets with each holding 30mm of literature. 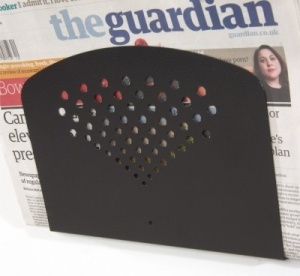 Simple wall fixings are included.